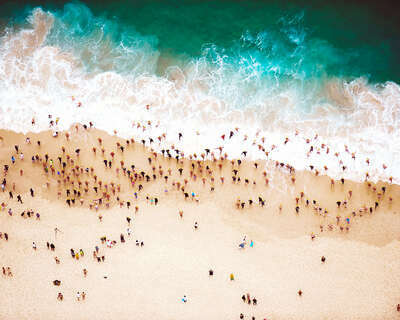 The LUMAS Summer Art Edition was stunning photo art for a fantastic price. This hand-signed, museum-quality piece was just £299 and only available until Sep. 23. Unfortunately, this artwork is no longer available. 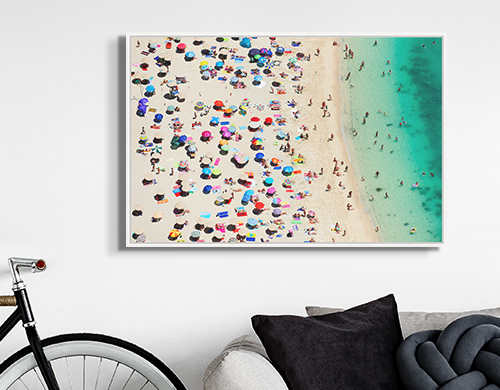 Our special-edition summer artwork was a piece of paradise for your wall! The LUMAS Summer Art Edition was only available until September 23 in a strictly limited print run. Each framed, special edition piece was hand-signed, made-to-order, and measured 23.6” x 35.4”. 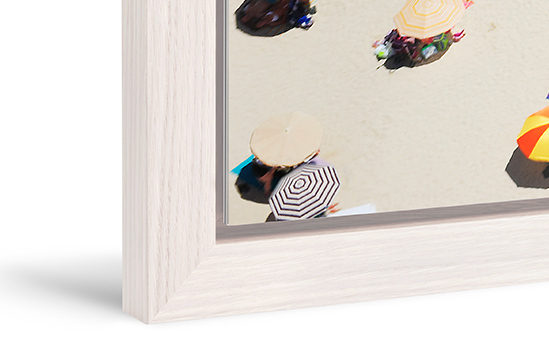 Our top-quality Floater Frame features a striking gap between the photograph and the moulding, making the picture appear to float. When it comes to art for your walls, this is an especially sophisticated look. 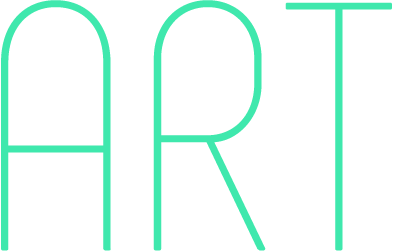 Amazing art for a low price – the perfect way to start your art collection! 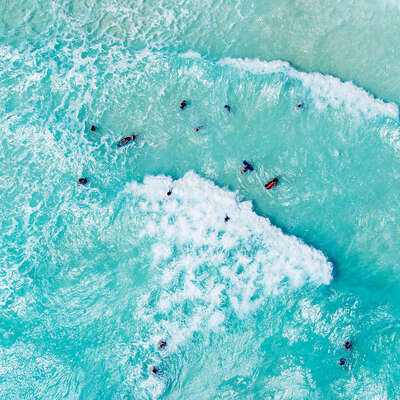 Tommy Clarke is one of Great Britain’s most exciting up-and-coming photographers, setting an example to aspire to in the age of drone photography. 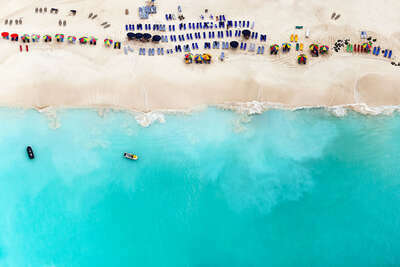 A trending artist in London, Clarke daringly leans out of the cockpit of a moving helicopter to press the shutter at the decisive moment. 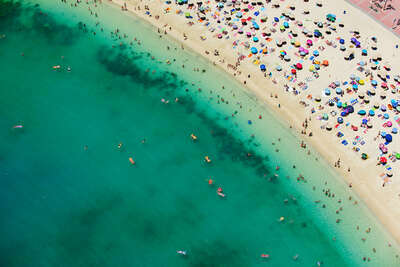 In his photographs, the beachgoers, umbrellas, and boats form visual structures. Viewing the art, we want to decode its new perspective on beach life while also sinking into the natural beauty of a beach paradise. Using Google Earth, Tommy Clarke scours the entire globe for dream coastlines in order to find subjects for his next photographic adventure. With every new piece, the demand for his art increases. We are very pleased that we were able to offer this opportunity to purchase an exclusive work of art by such a sought-after artist in the form of our hand-signed LUMAS Summer Art Edition for just £299! From Paris to New York to Berlin to Singapore, our knowledgeable Art Consultants are happy to assist you in 35 galleries worldwide. Bring your art home right away. Or order easily online. We deliver the art directly to you in secure, specialty packaging.